Pair your devices, put on your Triton Unit, jump in and start training. Every length, every breath, The Triton collects over a dozen data points, based on your movement in the water. Identifies the type of stroke, including Fly, Back, Breast, Free, IM, Mixed Strokes and Kick. Captured based on start, turn, and end swim characteristics, to indicate reps or sets for buildouts. The average speed per length. Calculation is pool length divided by split time. The average distance travelled per stroke in a length, after the breakout. The average duration of a single stroke cycle (free/back-2 strokes, fly/breast-1 stroke) in a length. The amount of time between the push off and break out, before the first stroke. The number of breaths per length, captured by head position. Indicates velocity after push-off. Promotes consistent pressure, push, and good streamline. No internet connection? No problem. 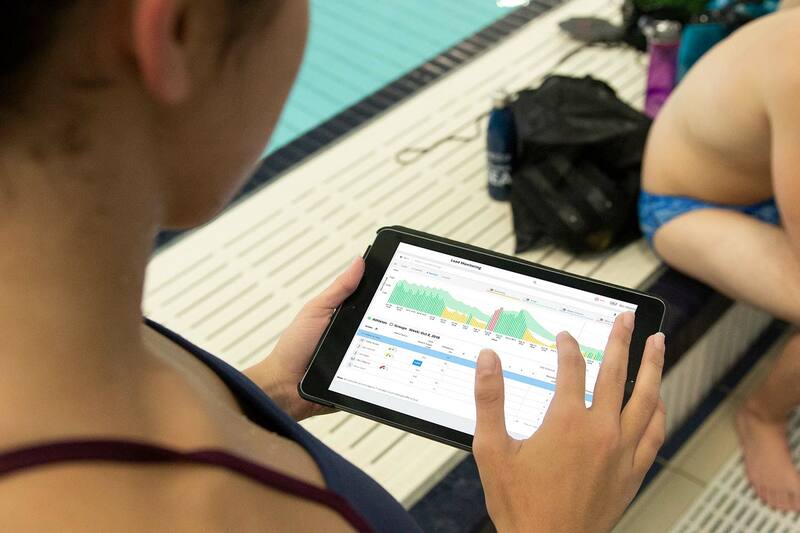 Simply pair your devices and tablet via bluetooth to track a practice or race. Your data will sync automatically the next time your tablet connects to the internet. Use the same Triton Units across multiple squads training separately, to help reduce hardware investments. 8 hour battery life from full charge. 2.5 hour to charge battery from full drain. Charge device via Micro-USB to computer system or power adapter. Custom RF protocol and standard Bluetooth 4.0 Low Energy (compatible with most devices). Please ensure you have a Bluetooth 4.0 Low Energy compatible tablet. iPad4+ and most newer Android Devices support the standard. If you are unsure, please contact our support staff at support@tritonwear.com. 36 hour battery life from full charge. Standard Bluetooth 4.0 Low Energy (compatible with most devices). Choose a few focal metrics, or keep an eye on all 13 at once, to get better live feedback during training. 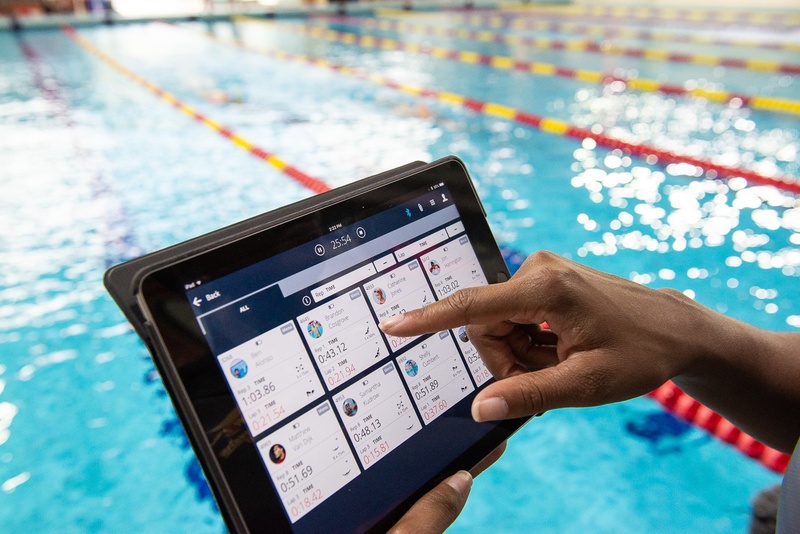 Track your progress over time with visual data, to create more precise training program, resulting in faster times and more wins. Automated load monitoring, with an easy to use dashboard, helps keep you training in the safe zone, and ready for every race. Track training volume and rank workout intensity after each session, to receive injury risk alerts and recommended training loads. Correct and fine tune technique with video automatically synchronized to athlete acceleration profiles. 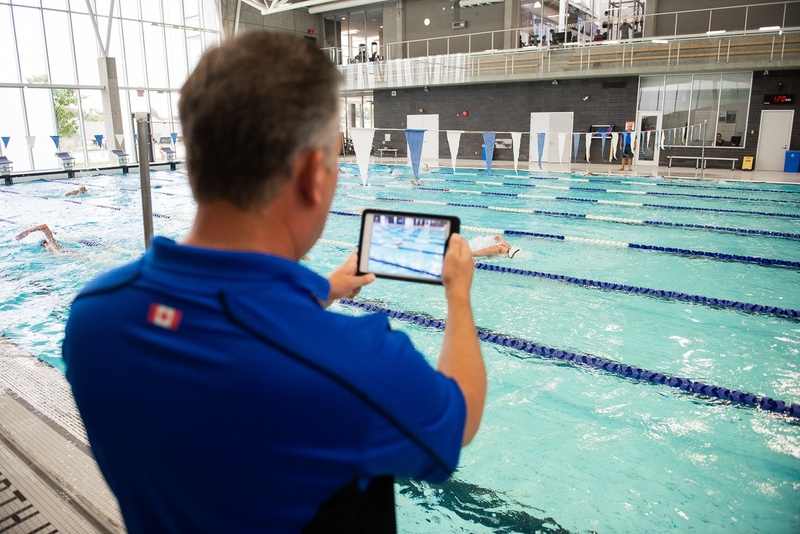 See frame by frame where athletes are gaining and losing speed within their strokes and skills. Club swimmers improve 40% more with TritonWear.